Kanj Hotels & Resort is a leader in the Indian hospitality industry, with a distinctive collection and a good reputationfor excellence. Hotels under our banner gives guests an extraordinary place that is created by combining unique architecture and structure,expressive decor and artistry, and magnificent features all in one great location. Restaurant, Laundry Facilities, Travel Counter, Backup Generator, Conference Hall, Internet/Wi-Fi, Front Desk, Complimentary Newspapers in Lobby, Baggage Storage on Request, Disabled Facilities. Air Conditioning Room, Complimentary Newspaper, House Keeping, Child Care, Desk, H/C Water, Basic Bathroom Amenities, Safe Deposit Locker Facility, Complimentary Toiletries, Cable/Satellite TV. Banquet Facilities, Business Facilities, Conference Hall, Doctor on Call, Laundry Facilities, Restaurant, Room Service, Bar. 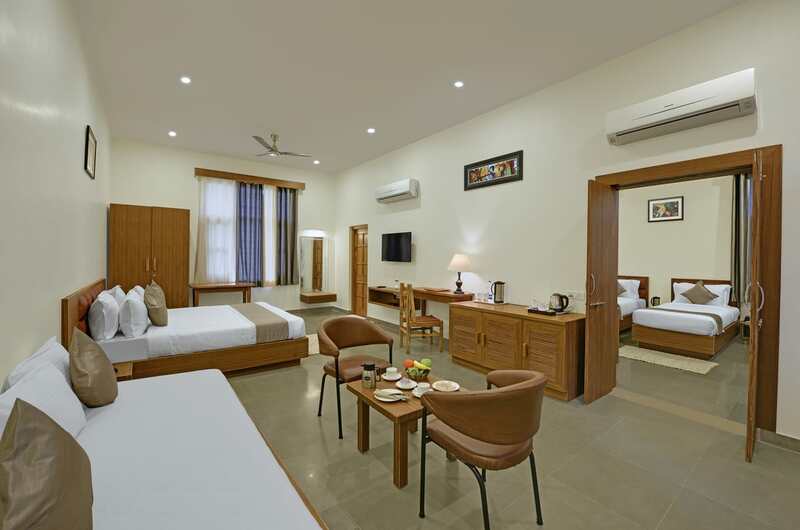 User reviews for "Kanj Palm Valley Resort Udaipur"